Strange, sumptuous and visually stunning, this wildly melodramatic tale of a kabuki female impersonator who exacts a long-delayed revenge on the men who drove his parents to suicide is played out against a colourful backdrop of comic rivalries between thieves in the Tokyo underworld. Kazuo Hasegawa stars, in the dual role of the actor and a thief, in a film which celebrates his 300th screen appearance. 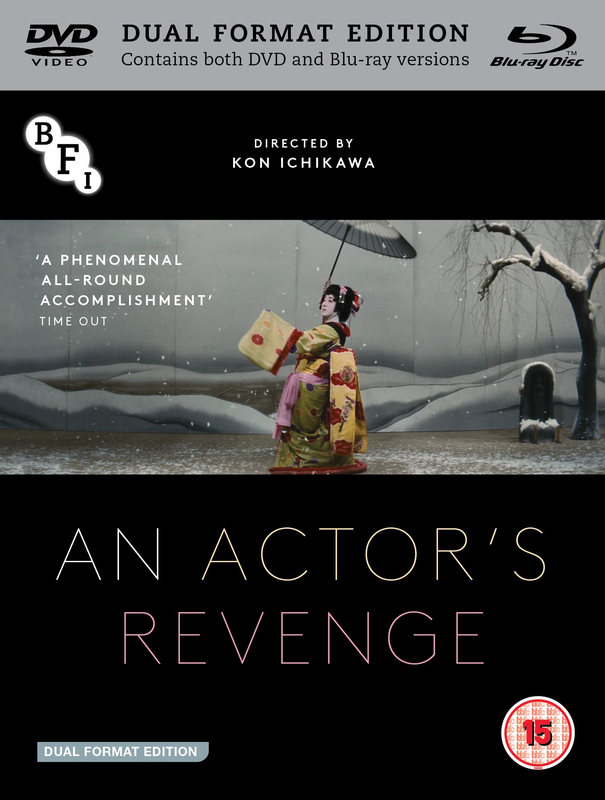 A heady cocktail of swooning romanticism and highly stylised action, with an outstanding soundtrack that ranges from traditional Japanese music to lush Hollywood strings and cocktail jazz, An Actor’s Revenge is a cinematic tour de force.